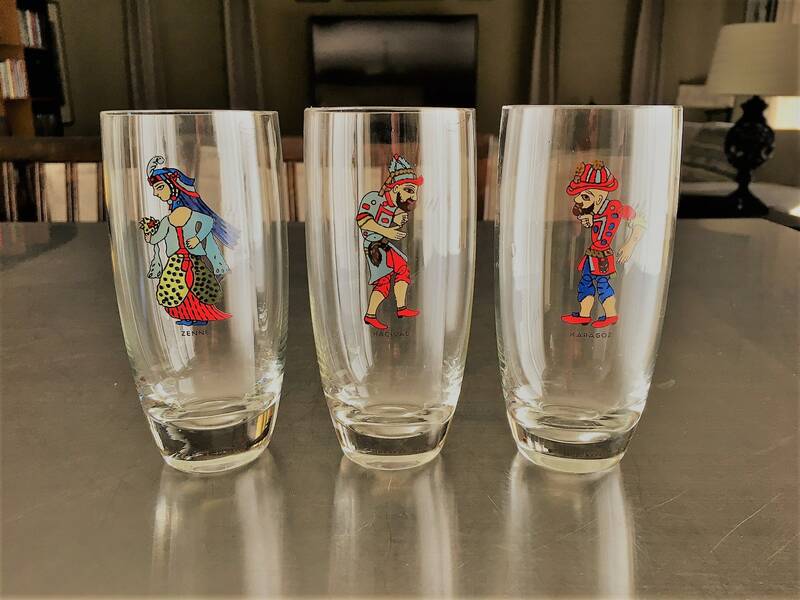 Features is a rare set of three glasses depicting characters from traditional Turkish Shadow Theater. This art form was popularized during the Ottoman period and spread throughout the empire and gained prominence in Turket and Greece. 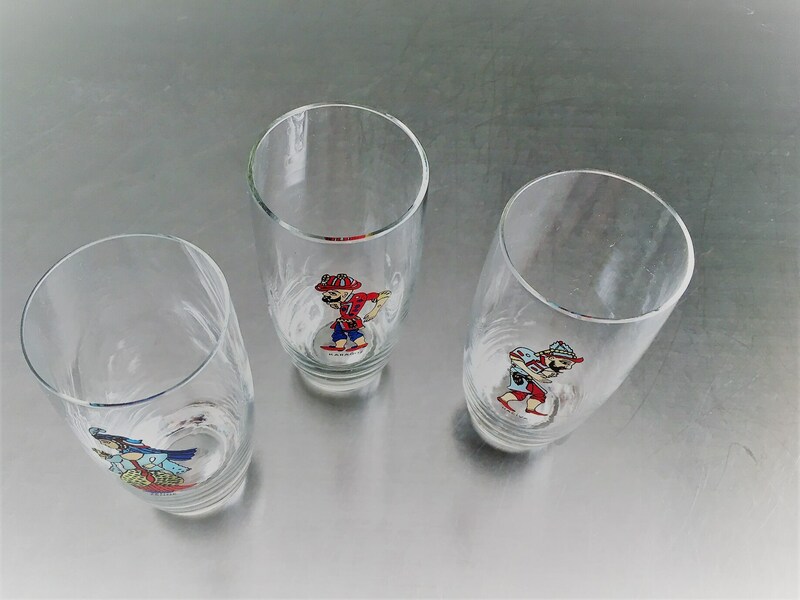 Each glass features a different character; Karagoz the uneducated and witty hero, Hacivad the educated and cultured representative of the state, and the old yapper woman Zenne. Although I know they must be out there, I have not been able to find another set of these glasses available for sale. These glasses are all the same size. They measure about 4 3/4 inches tall and 2 1/8 inches in diameter at the rim. They have heavy bottoms and are taped so that they are slightly wider at the top of the glass. The graphics are bold and bright, and the glass is in good shape. The only flaw I can find is a small chip on the issue of the Karagoz piece. It may have been introduced during the manufacturing process, and it is only noticeable under close inspection. 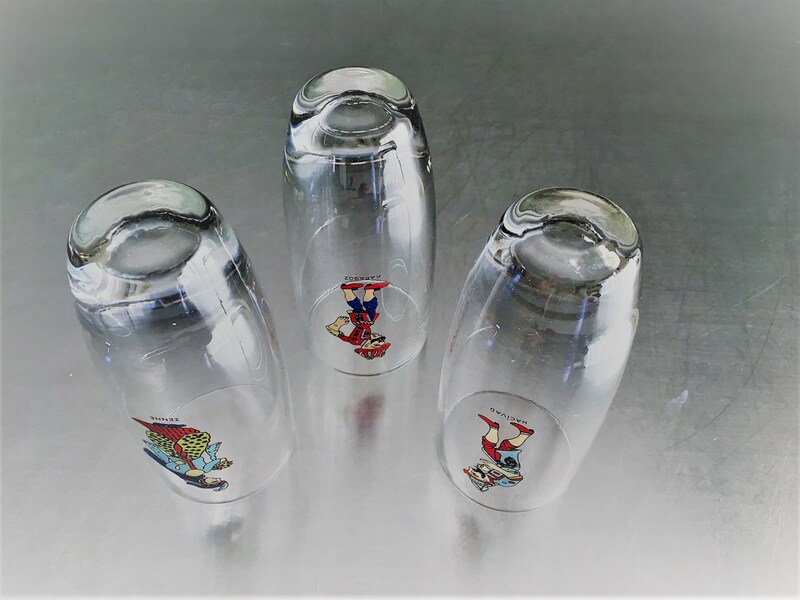 Great novelty items and super additions to your glass collection. Let me know if you have questions or need additional photos.